NEOS, Analog Mixer from SPL. 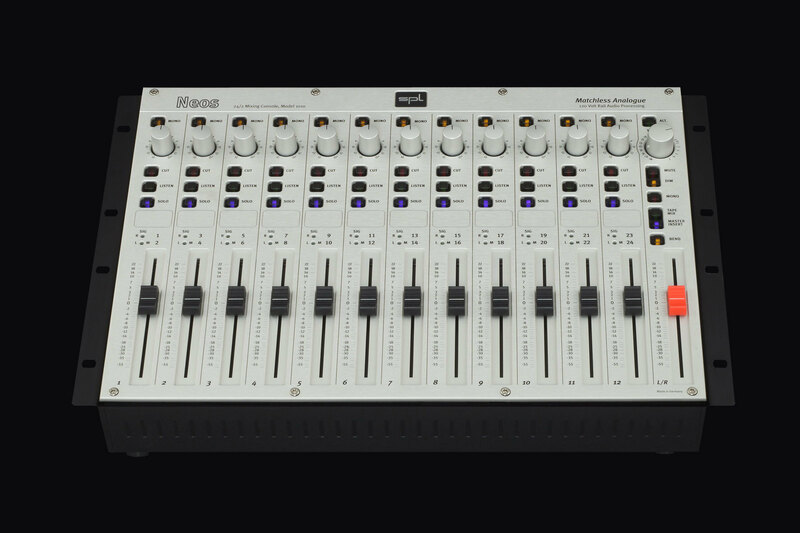 It has 12 faders for each stereo or mono channel and a master fader. It has inserts for the master channel for mastering processors. Using 120 volt technique it has a dynamic range > 125 dB and a noise threshold of -100dB. It also has a mono, +30dB gain, cut, listen and solo option for every channel. At the master section you can select the mute, dim, mono, tape mix and master insert option. It also has a bend option but for now this remains a mystery.